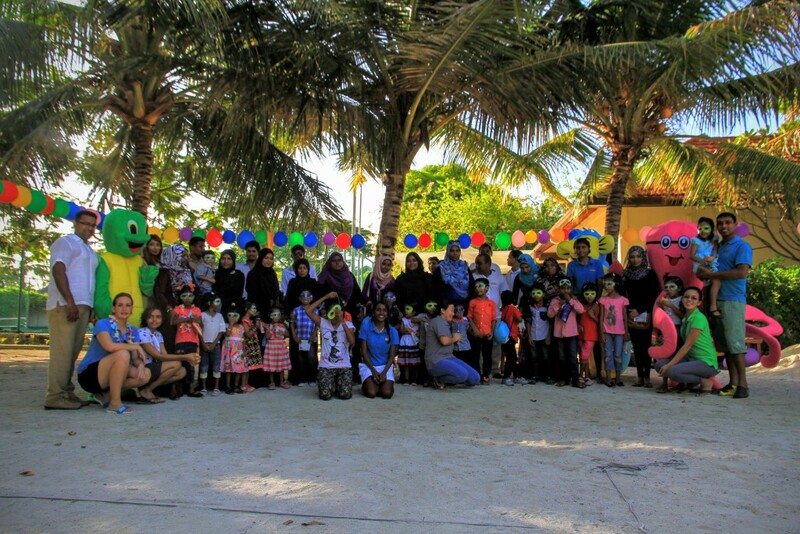 On Saturday June 13th Children’s Day 2015 by welcoming 27 Maldivian children, aged between 2 and 15, from the orphanage “Kudakudhinge Hiyaa”, on Villingili Island, to enjoy an exciting afternoon of fun filled activities at the resort. 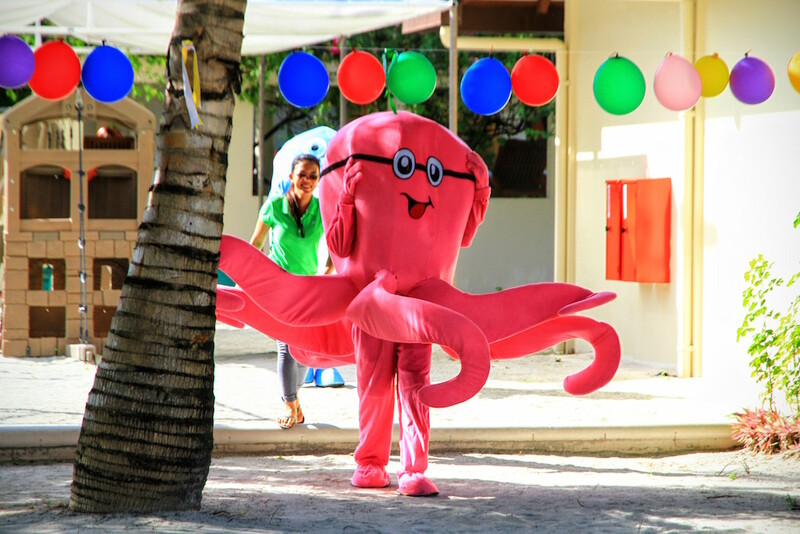 This is the third year running that Kurumba has celebrated International Children’s Day along with the children of Kudakudhinge Hiyaa. 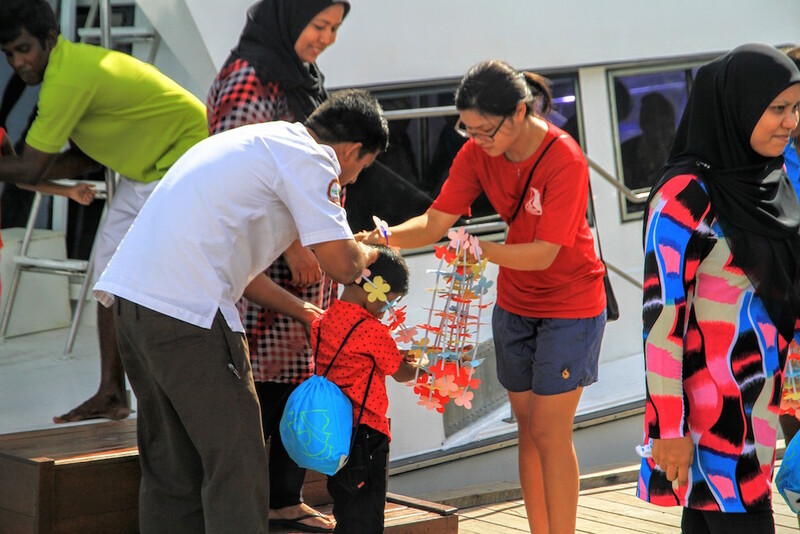 After a thrilling speedboat ride from Villingili island to Kurumba, the children delighted in spotting fish and baby sharks along the jetty of the resort. 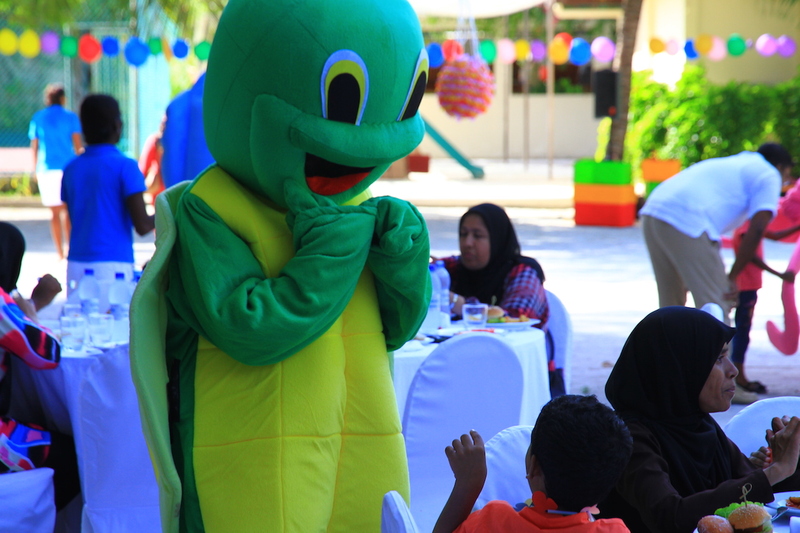 Then at the Majaa Recreation Center the children enjoyed a delicious buffet and sweet treats laid on by Kurumba’s team of chefs. 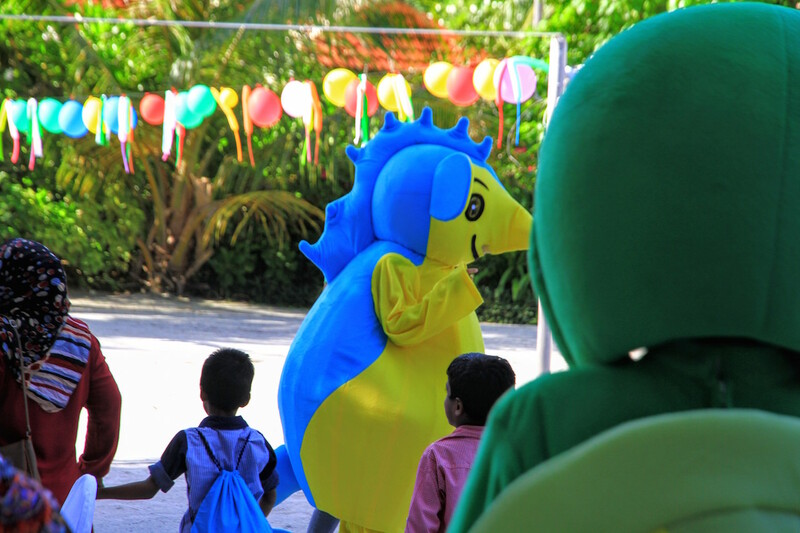 This was then followed by team games accompanied by Kurumba’s mascots and a piñata, culminating in the distribution of candy and a goody bag for every child. 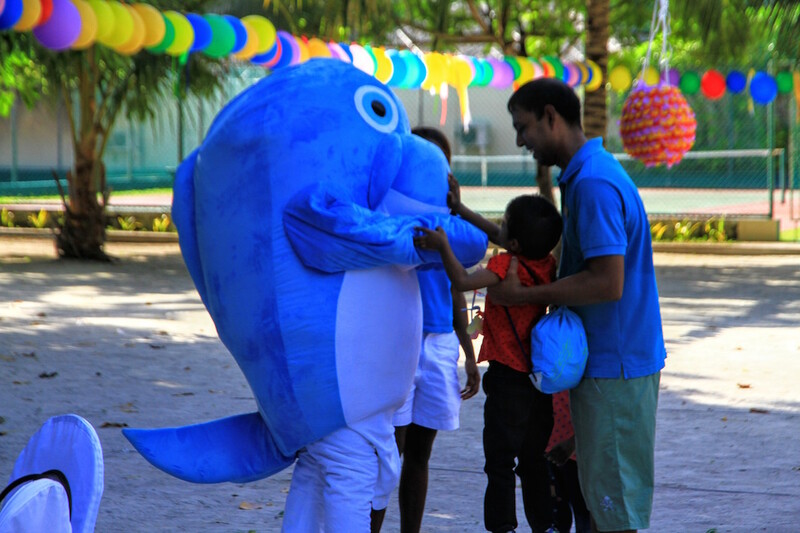 Mohamed Najmee, Operations Manager of Kurumba Maldives stated: “This year we unfortunately had to postpone the occasion due to the weather conditions, however the team was fully committed to carry out this event for the enjoyment of the children. We at Kurumba endeavor to support our local community through events and projects like this.” The Kudakudhinge Hiyaa orphanage, on Villingili Island houses children between the ages of 6 months and 24 years old. This self-supporting charity requires help from the local community and travel industry in order to continue to provide a homely, safe, caring and educational environment for these children. 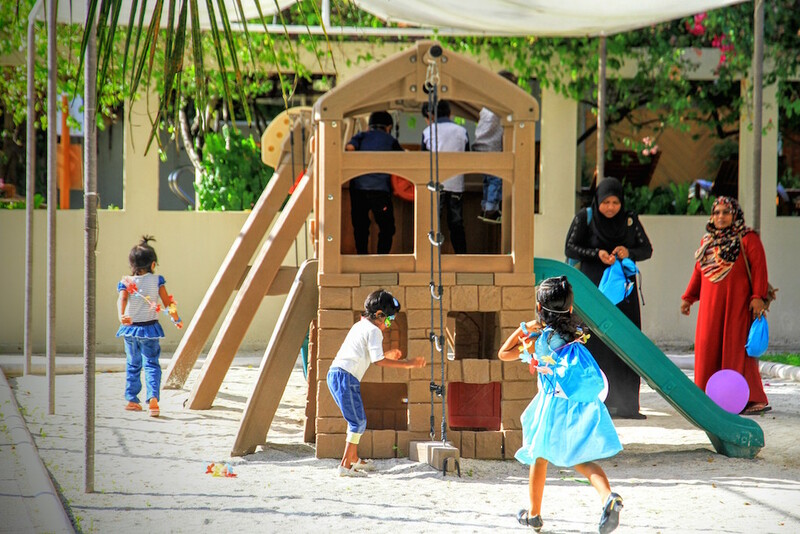 Kurumba Maldives has an ongoing commitment to Kudakudhinge Hiyaa and over the past 2 years has provided numerous improvements to the orphanage’s residential areas. These include upgrades to the kitchen, laundry, play areas, CCTV and installing new computers, along with providing ongoing consumables such as linen, cleaning equipment, toys and complimentary repairs and maintenance.